Eclectic original from Cult accordion ensembles, string quartets & Jazz-ska to alt-country, nu-folk, roots & rockabilly. Mixed Inc artists raise awareness on plastic pollution in the ocean. 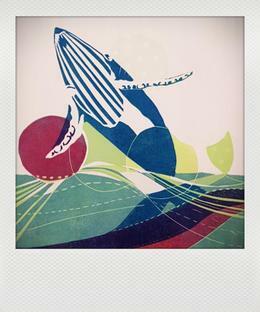 Their prints highlight the beauty of the ocean as well as reflect on human impact through the use of different techniques.